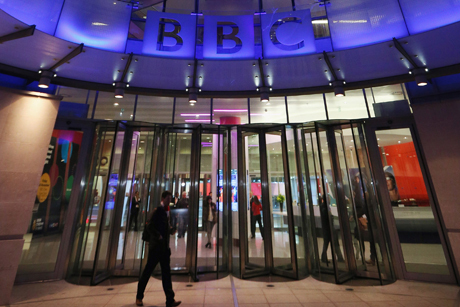 BBC dampens reports of £100,000 spend on "PR gurus"
The BBC has dampened reports in The Sun that it spends £100,000 a week on PR and management consultants. The Sun reported this morning that the corporation spends £100,000 a week on "PR gurus" and management consultants including Deloitte, KPMG and PWC. The report said the BBC spent a £5.5m chunk of last year's income on hiring firms to advise on money, talent, health, safety and "change management". The BBC disclosed the figures following a Freedom of Information request. A spokesperson for the BBC told PRWeek that the spending figures related to 11 different companies that provide a variety of services and that overall costs have fallen year on year. The BBC also said that The Sun's depiction of PR actually referred to "marketing". The spokesperson added: "We are obliged to use external organisations to audit our accounts. On occasion, just like any other organisation, we also use external companies for specialist services – this saves the BBC millions of pounds because it is cheaper than employing permanent, full-time staff to carry out work which would only last a short period." PRCA Director General Francis Ingham said: "The news that the BBC spends £5.5million a year on ‘PR gurus’ is entirely misleading. The story fails to reveal how much has specifically being spent on PR consultants, as opposed to management consultancies, health and safety, or any of the other advisors mentioned within this story. "But that aside, it is worth spending a moment to defend the BBC’s use of PR consultancies, which is known to be sparing. The use of PR agencies to handle certain projects is accepted practice for blue chip companies, SMEs, charities and public sector bodies. So why shouldn’t the world-leading BBC, whose programmes are exported globally, be able to use the same practices to promote itself and its programming in this way? "As the BBC rightly says, using PR consultancies is, for certain types of campaign work, more cost effective than appointing in-house team members. They also bring a great deal of specific expertise to help promote the BBC’s services. All of this contributes towards the BBC’s reputation as one of the leading broadcasting institutions in the world. "And let us be completely clear – the cost of PR agencies amounts to a tiny percentage of the BBC’s annual budget."